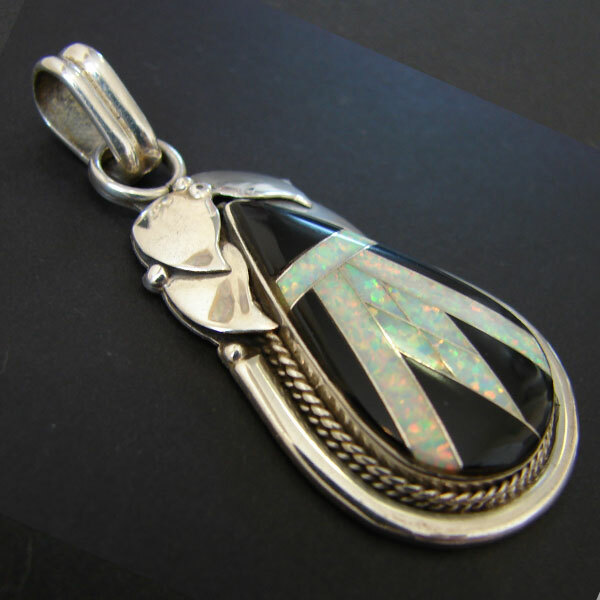 This lovely pendant features channel setting of opal in a field of jet. 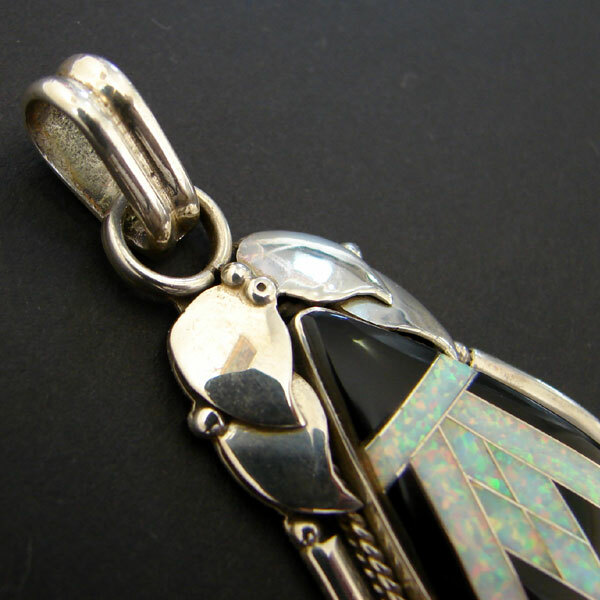 A simple bezel is surrounded by a twist of silver wire. 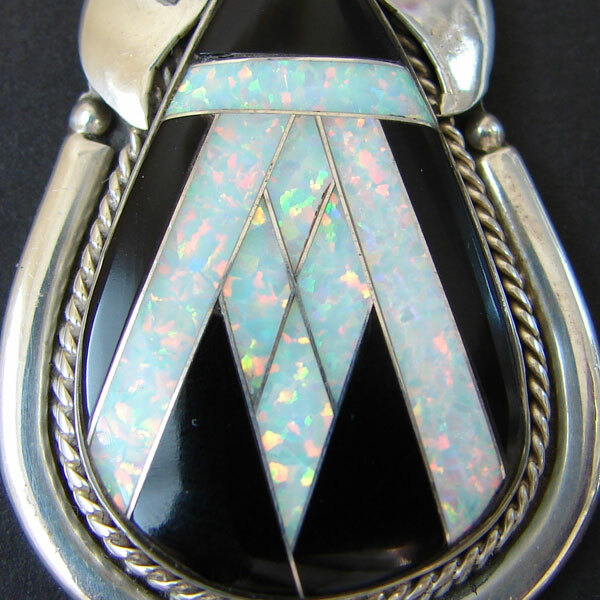 The top is decorated with overlapping leafs enhanced with six silver balls. 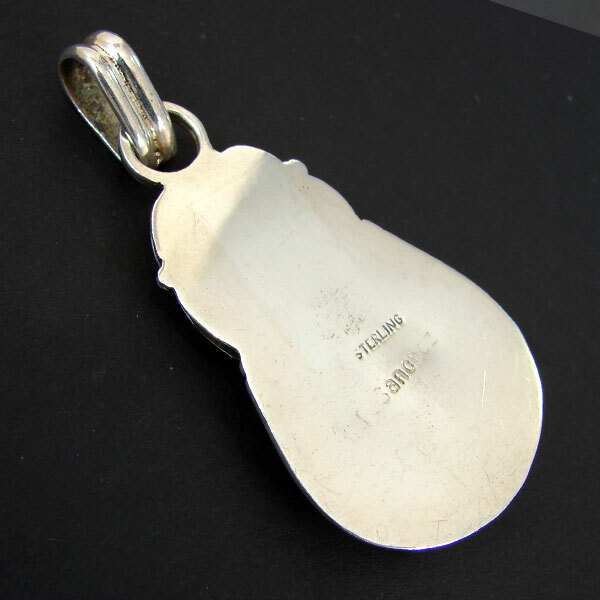 This sterling pendant is 2-1/2” long with the bale by 1-1/8” wide. 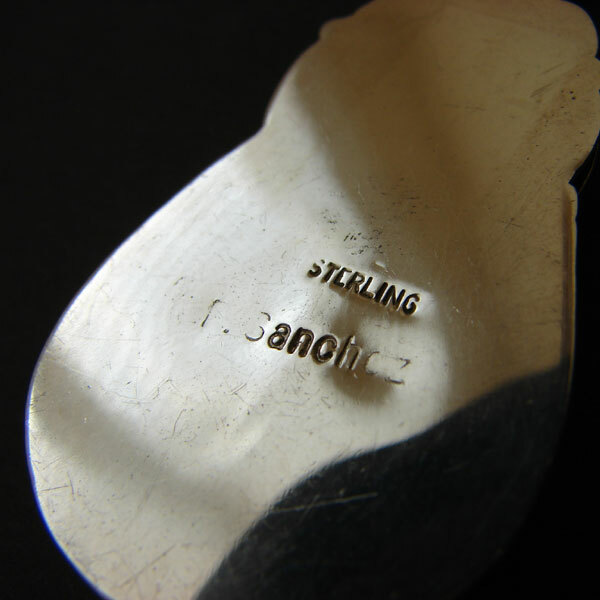 It is stamped P. Sanchez for Peter Sanchez.